Ah! If you have been following along on a daily basis, then you will know that I have been pulling some of the most feared cards in all of Tarot. 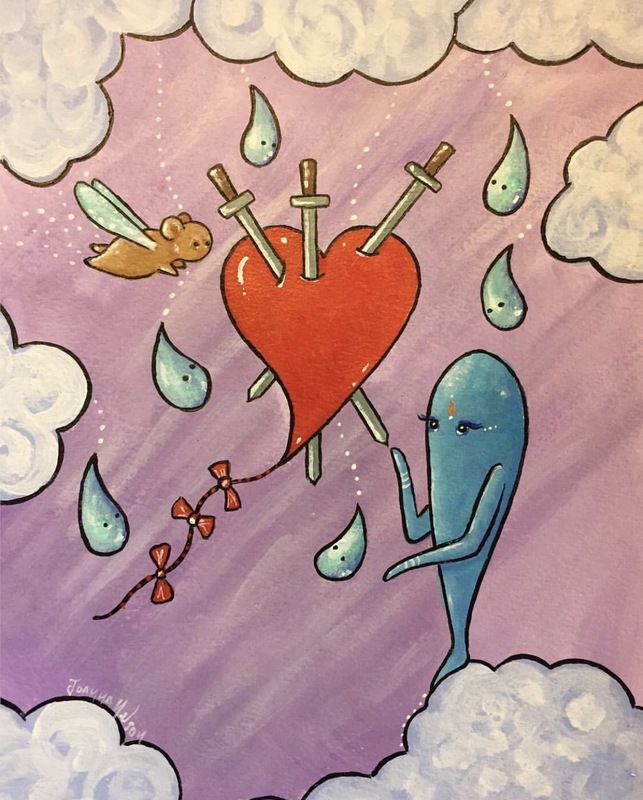 However, do not fear, as they are here to see some much needed change; our 3 of Swords today has been preceded by both the Death card and the Tower card this week. That is some pretty powerful energy. Without getting into the whole astrological side of this weekend, let’s just say it is time. Take a good look at today’s gentle 3 of Swords image by Joanna Nelson Studio; it speaks volumes. This entry was posted in Card of the Day, General Tarot, Patreon, Readings, YouTube Videos and tagged 3 of Swords, Card of the Day, Guidance, Path, Reading, Tarot.